I don't cook much now that I am widowed so it was with anticipation that I decided to make these. I think I should have known better. I live in Australia now and everytime I try one of the USA recipes they disappoint.We use metric measurements and I am sure our flour is different. I couldn't find cherry pie filling at all so used a tin of black cherries in juice. Then I needed to thicken the juice. I think my tin was too small but since it was pricey I didn't want to buy two cans. My cake mixture seemed very stiff. And unfortunately burned on the bottom a bit and was fairly dry. So a dry partially burned cake with not enough filling. If that wasn't enough the chocolate was too thick to drizzle so I added a bit more milk then it seemed to be too runny. Made little pools in the low places and ran off the edges all over the kitchen bench and onto the floor. At least it doesn't taste too bad but I was planning to impress a Bible study group tomorrow. Well, that's not gonna happen!!! I love the chocolate drizzle on top! 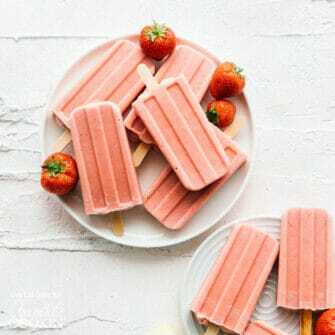 Great summer treat! I'm still trying to find sour cherries so I can make your pie filling. 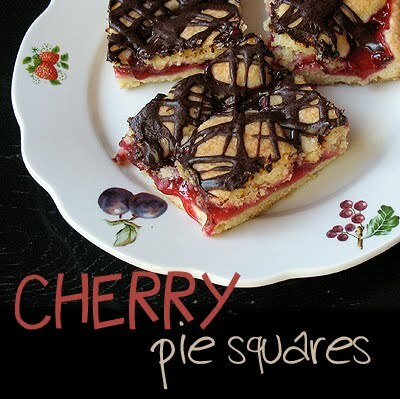 When I do, these squares are definitely on my list of things to make with it :) Yum! They look delicious Amanda. 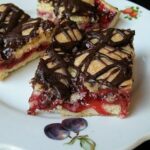 I love the idea of using cherry pie filling. I'll have to give these a try! I was looking forward to your first recipe with the sour cherries you put up last week. And, oh my, have you hit a home run with these wonderful looking bars! 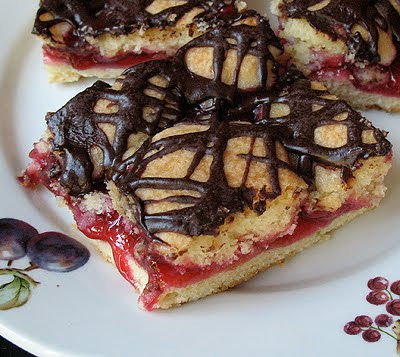 I love that you've added a chocolate drizzle here, which is not only pretty as a picture but such a perfect flavor complement to the cherries. Cherry would definitely be my favorite! But I've got a thousand blueberries right now. Hmmm. Looks so good with the chocolate drizzle. Amanda, these look awesome! 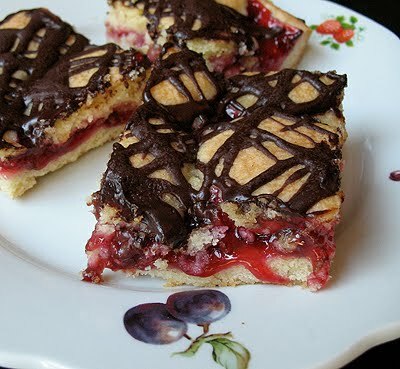 When I was a kid Cherry pie was my very favorite. Now that I am older I have a lot of favorites but I still have a soft spot for cherry! OMG those look fantastic!! And so does your blog btw!! I always leave your blog with a recipe to make and today, this is it. I could so, go for these. Printed and ready to be made on another day. Yummm! These look so good!! Hmm…wish my tree!